This month, it's my turn to host Supper Club. I love this group of girls so much. We've been getting together monthly since 2004! Now that's dedication. I'm proud of us for sticking to it. When I do the meal planning for this group, I often like to come up with a fun theme. And most importantly, it must be a meal that won't keep me confined to the kitchen while everyone else is sitting on the patio drinking wine. I can't miss out on any of the fun, now can I? I bought the majority of the ingredients Monday and will purchase those that need to be fresher on Wednesday -- prosciutto, strawberries, the Italian bread for the crostini, and lettuce for the salad. 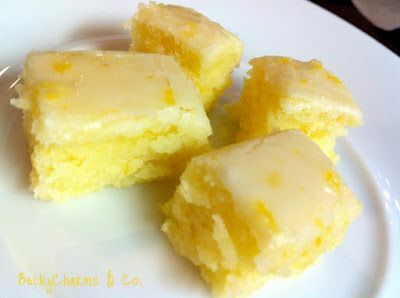 Wednesday evening I'll make the lemon brownies and slice the bread. I'll also make the salad dressing so the flavors have more time to meld together. I can slice the red onion, canteloupe and strawberries (maybe even sprinkle them with a little sugar to get them a bit syrupy). I am really excited about this menu and hope the girls get a kick out of a little taste of Italy! Ooh what a scrumptious menu! I agree that when you're hosting you should try and keep the food prep as low key as possible. Sounds like everyone will have full bellies! Have you tried that salad dressing before? If not, let me know how it turns out! I've always wanted to try it b/c I am obsessed with OG's dressing. Looks like a delicious menu! Looks awesome especially the crostinis! So fun!! :) I need to do this with my girlfriends! I want to come! Looks delish! 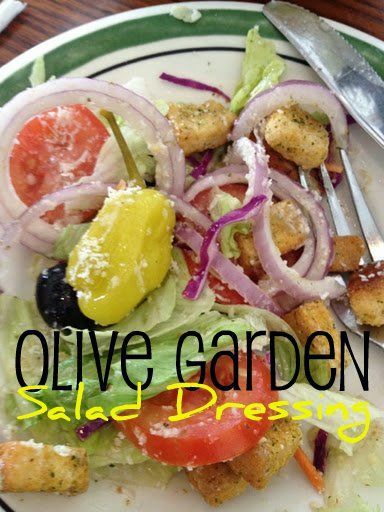 Olive Garden salad dressing is the best! That is serious dedication!! My 3 yr old book club can barely hold it together these days! That sounds like a great menu. I've been looking for ways to incorporate more "meals" into my girls nights. Love the appetizers! Ohh sounds like such a great menu! 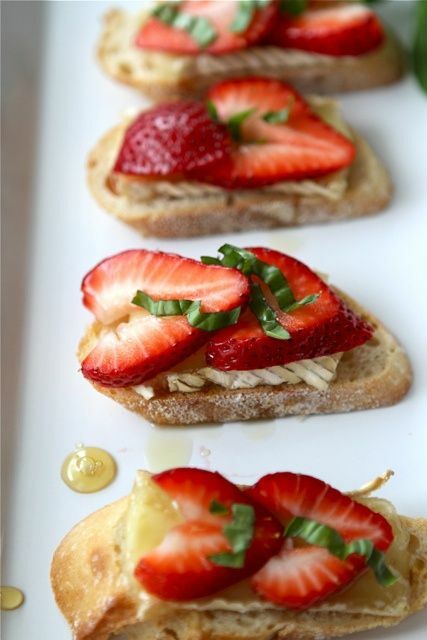 I especially want those Brie and strawberry crostini's! Too bad I can't have Brie cheese while pregnant...boo!